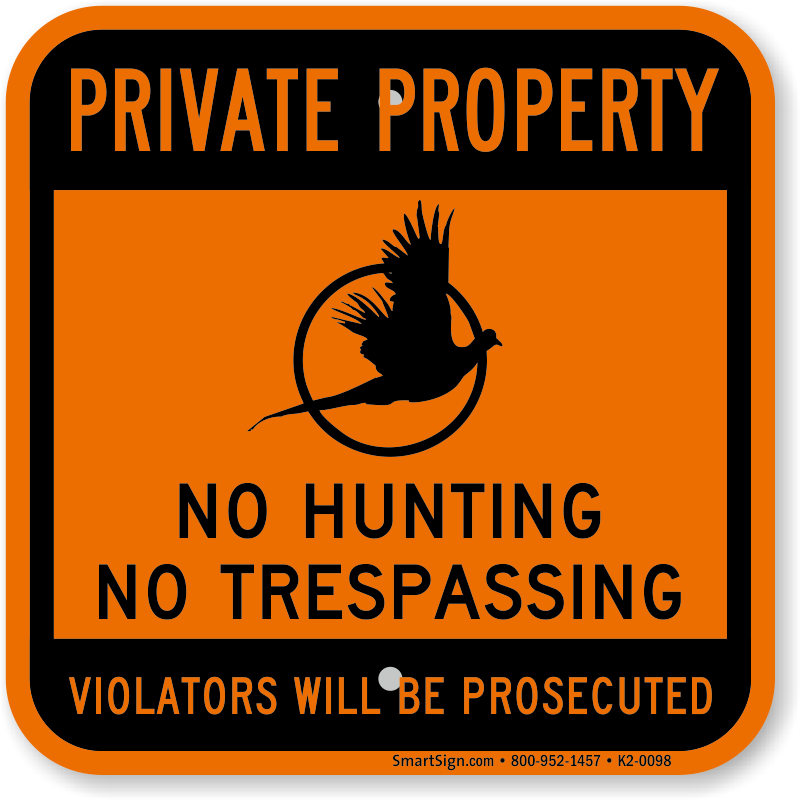 State that it’s private. 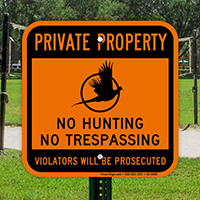 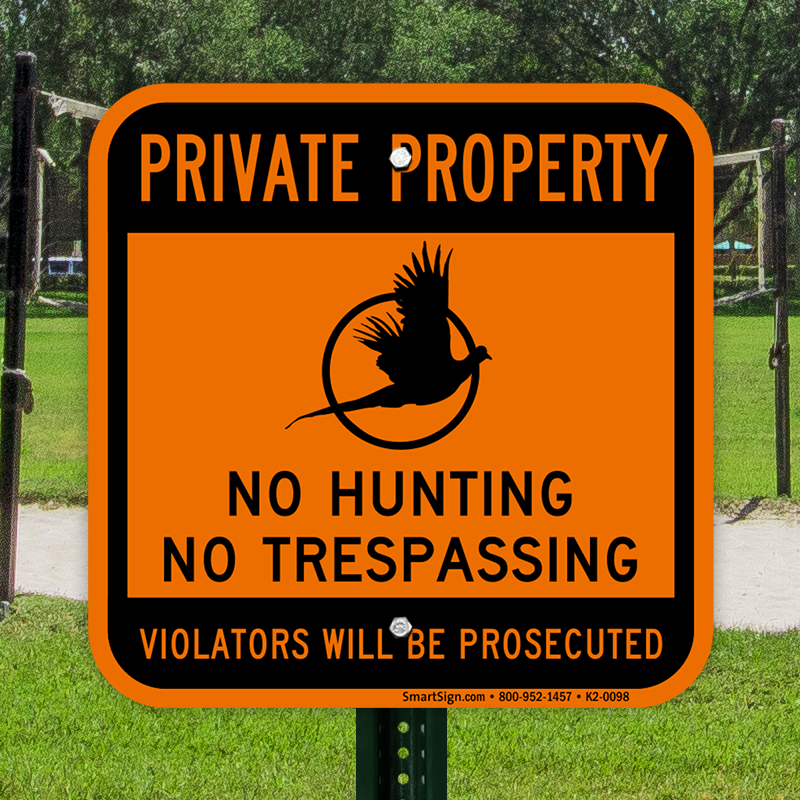 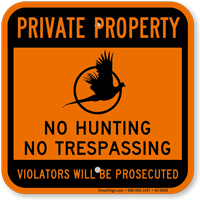 Use this private property sign to prevent hunting or trespassing on your property. 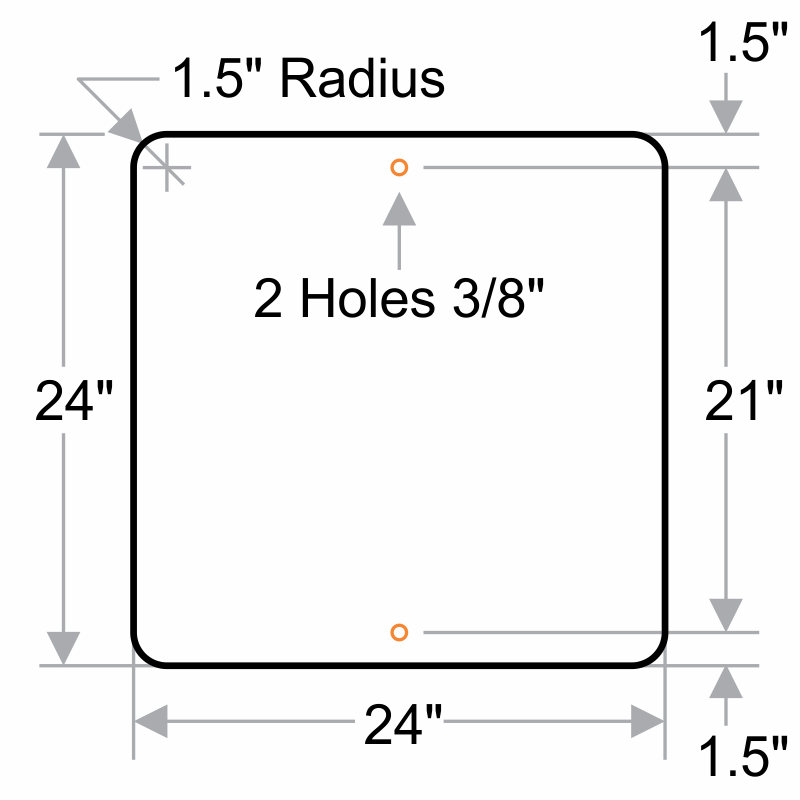 63 mil thick, rust-proof, fluorescent orange diamond grade aluminum. 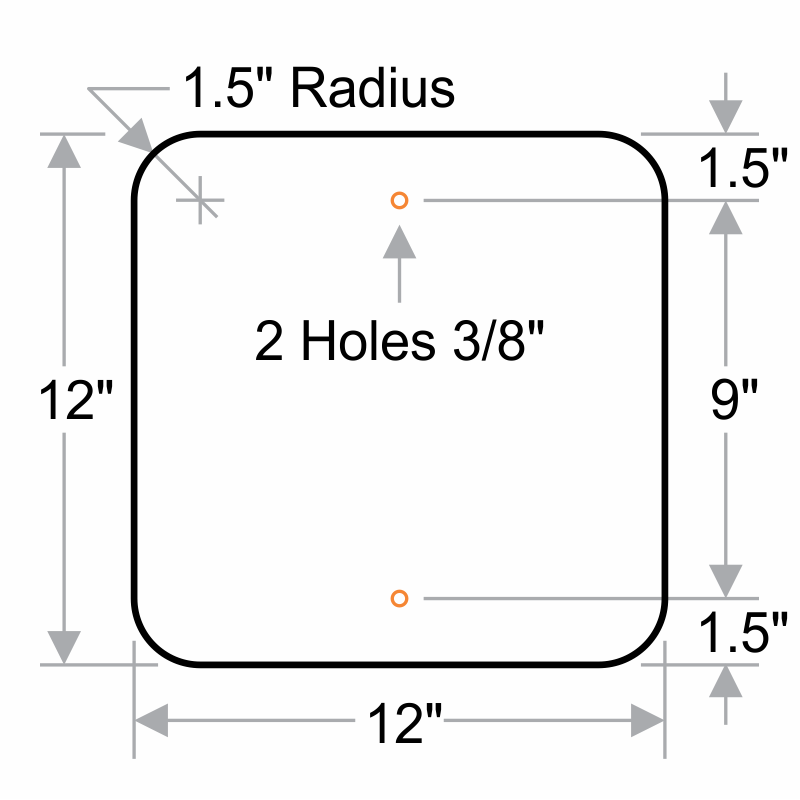 Love the bright orange and good reflective surface for maximum visibility.